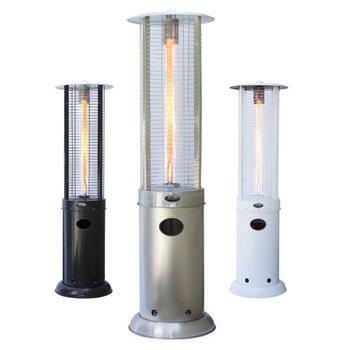 ‘Elegance’ and ‘patio heater’ aren’t words you’d expect to use in the same sentence – that is until you experience the towering and beautiful spectacle of a gas flame patio heater. 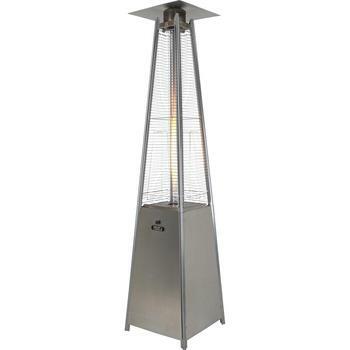 Available in futuristic pyramid or cylinder shapes, flame heaters make a bold statement at fine dining establishments or a charming visual feature in your own garden. Be bold and stay warm by introducing one of these burning beauties to your outdoor space. Planning to impress your colleagues at the next company soirée? Or perhaps you run an event space and are looking for an attention-grabbing outdoor heating solution? 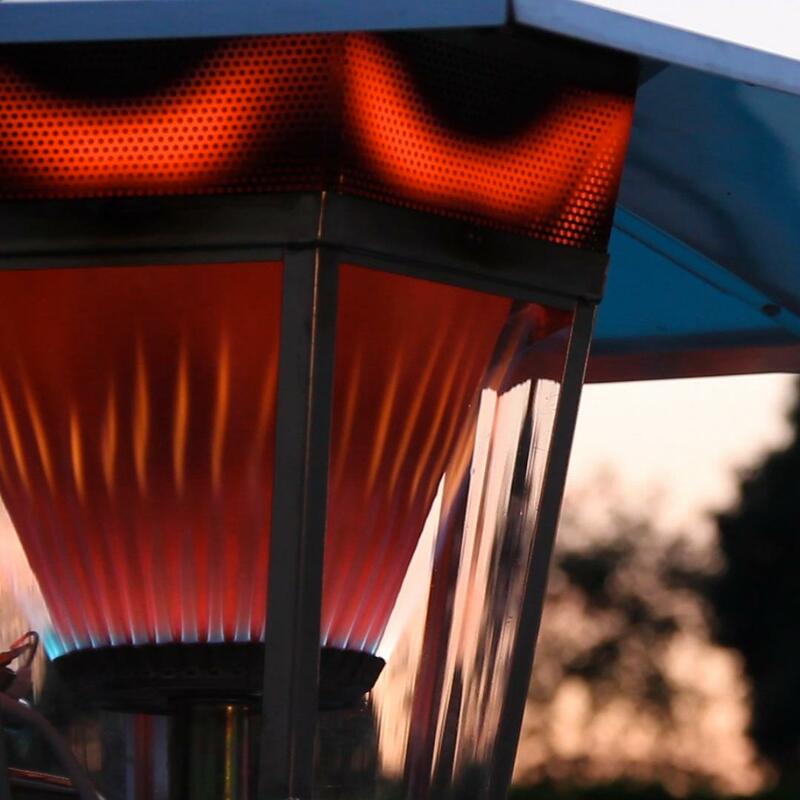 Our sophisticated flame heaters are ideal for office summer parties, outdoor trade shows and corporate events. Place one, two or a few of these comforting heaters near your guests as they break the ice – then watch as the social mood melts into cheerful, comfortable conversation. When the sun’s out, nothing beats the buzz of an outdoor networking event – but when the clouds crash the party, schmoozing quickly turns to shivering. 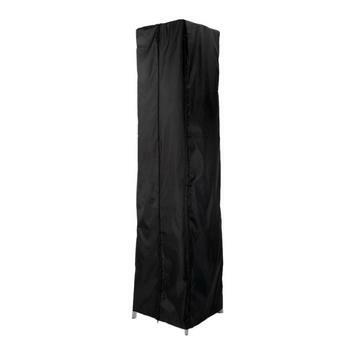 To maintain comfort levels during your customer’s event, you could really impress them with a towering outdoor flame heater like the Goliath. Our largest flame model, the Goliath’s substantial presence and powerful 15kW heat output make it ideally suited to rooftop parties and gatherings in exposed areas, where wind chill poses a challenge. Despite its impressive stature – 2.62m when fully assembled – the Goliath can easily be taken apart, transported and stored away for the next outdoor occasion. Want to make more money from your unused outdoor areas? By investing in an outdoor patio flame heater, you can market unused terraces or rooftop areas as all-weather event spaces. This can be a clever way to generate extra income for hotels, hospitality venues and public buildings. Keeping guests perfectly warm throughout the evening, the flame patio heater also gives the polished and sophisticated ambience that high-end party organisers look for. 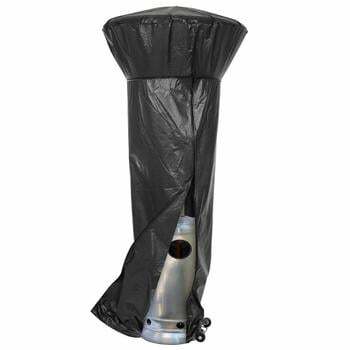 It instantly gives a stylish edge to new outdoor venues and provides a visual upgrade to existing spaces. 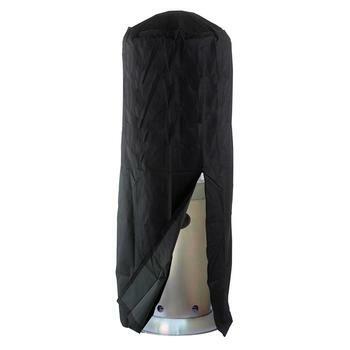 Consuming a single 13kg gas canister over a continuous 16-hour period, our Athena Plus+ stainless steel patio heater is ultra-economical to run, as well as looking the business. Perfect for large spaces where heat has further to travel – the Athena Plus+ stands at an eye-catching 2.28m tall and generates 50% more heat than the previous edition. For a fine dining establishment or Michelin-starred restaurant, the visual appeal of accessible outdoor areas is paramount. 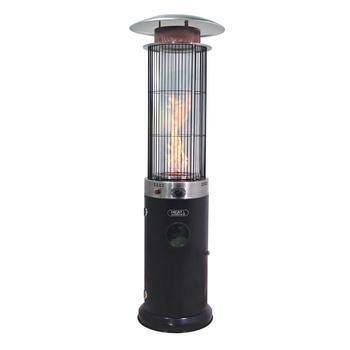 While a cheaper, basic patio heater doesn’t quite cut the mustard, the captivating flicker and generous warmth of a flame heater will dramatically improve the high-end ambience. Enchant romantic couples and your evening clientele with a few carefully placed outdoor flame pyramids. Suitable for open terraces and balconies, they’re a simple way to raise the profile of your restaurant’s dining terrace. The pièce de résistance of our flame heater family – the dramatic Goliath – can be controlled with a stylish remote, so your waiting staff can operate it from a distance while they go about their work. With its three power settings, the Goliath enables your staff to adjust the heat intensity to your customers’ satisfaction. To most people, flame patio heaters are a magical and enchanting spectacle – but behind the visual feast, there are some very practical mechanisms that may be useful for you to understand. The flow of gas starts when the gas valve on the heater is opened manually. The gas travels through a hose from a concealed canister that sits securely underneath the unit. The pilot light is then lit manually, using the control knob on the front of the unit. This effectively acts as the heater’s ignition switch, but it can also be turned to moderate the flow of gas, increasing or decreasing the flame’s intensity. Once the gas has been ignited, the flame travels up inside the toughened, quartz glass heating tube. This creates the stunning ‘flickering’ effect that people find so captivating. When the flame reaches the top of the tube it hits the heater’s metal grille, which is exposed to the surrounding air. Transmitting the energy from the flame, the metal grille acts like a buffer – it heats up and then radiates warmth. The hood (which is positioned like a canopy above the metal grille) directs the heat from the grille outwards, spreading it across a wide area. In the case of our largest flame heater, warmth can be felt anywhere within a 12m radius. We know it’s important for you to customise your outdoor environment. 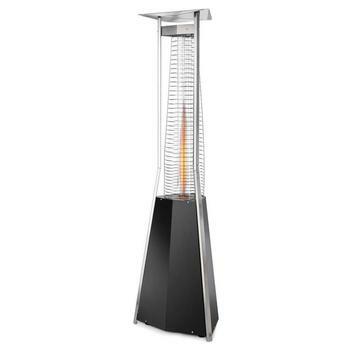 We also think an outdoor flame heater should be an artistic statement, not simply a garden appliance.